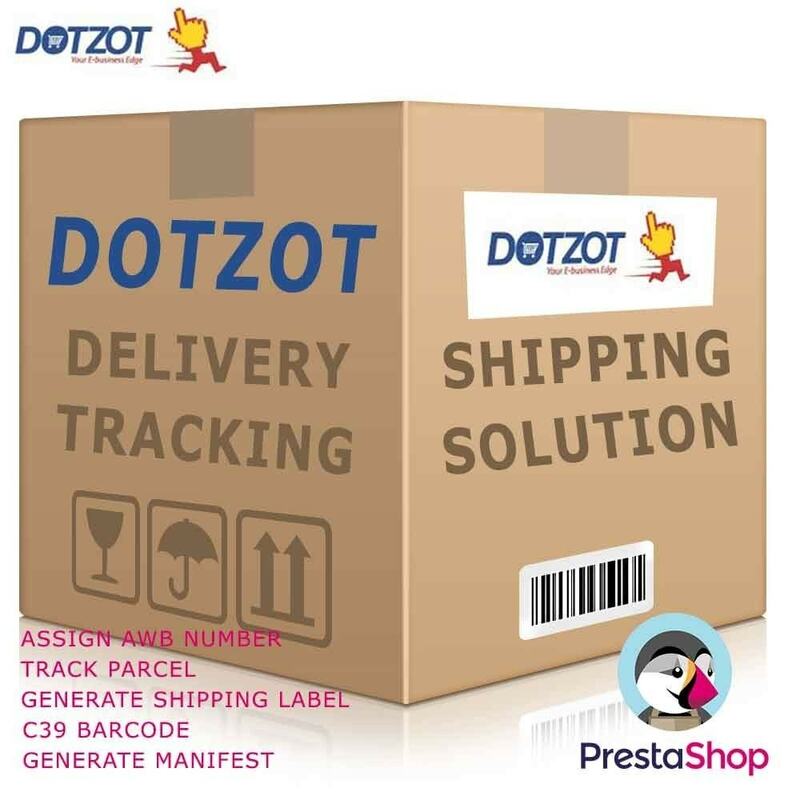 Track Dotzot Shipping. 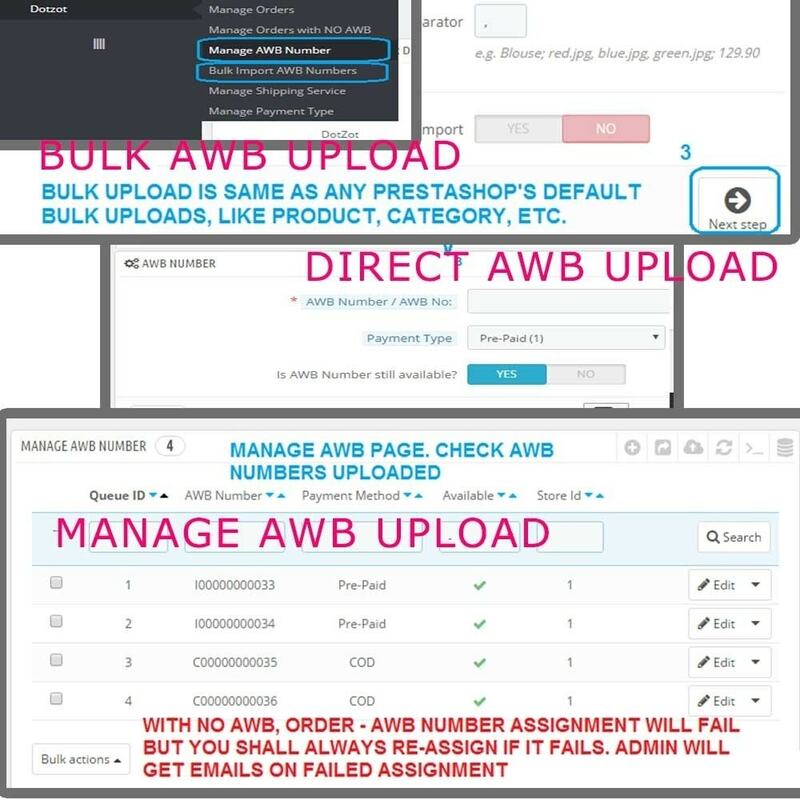 Assign AWB number to Order (Automatic and Manual). 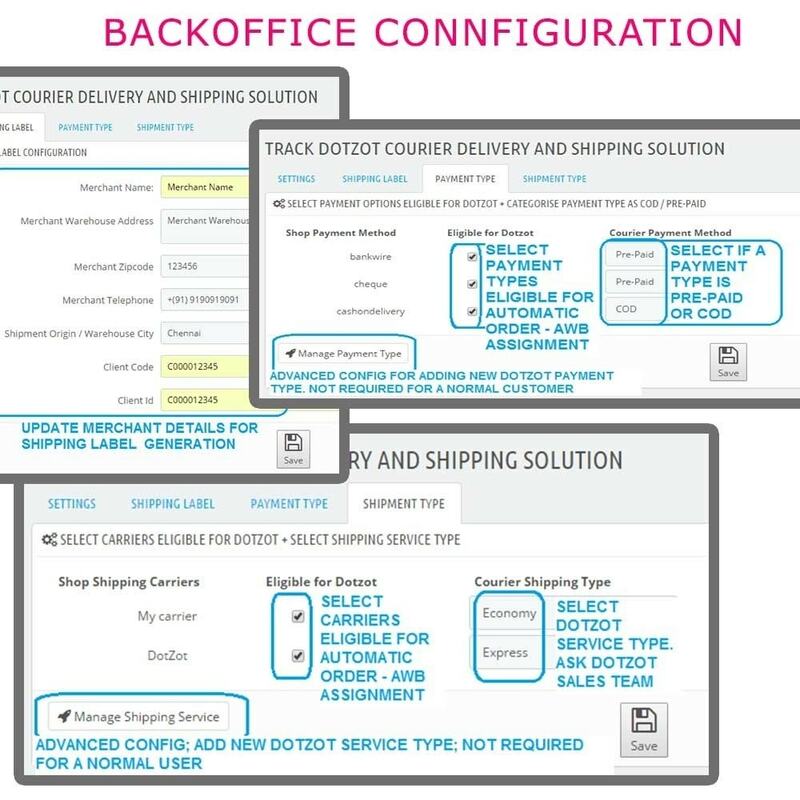 Print Shipping Label PDF. 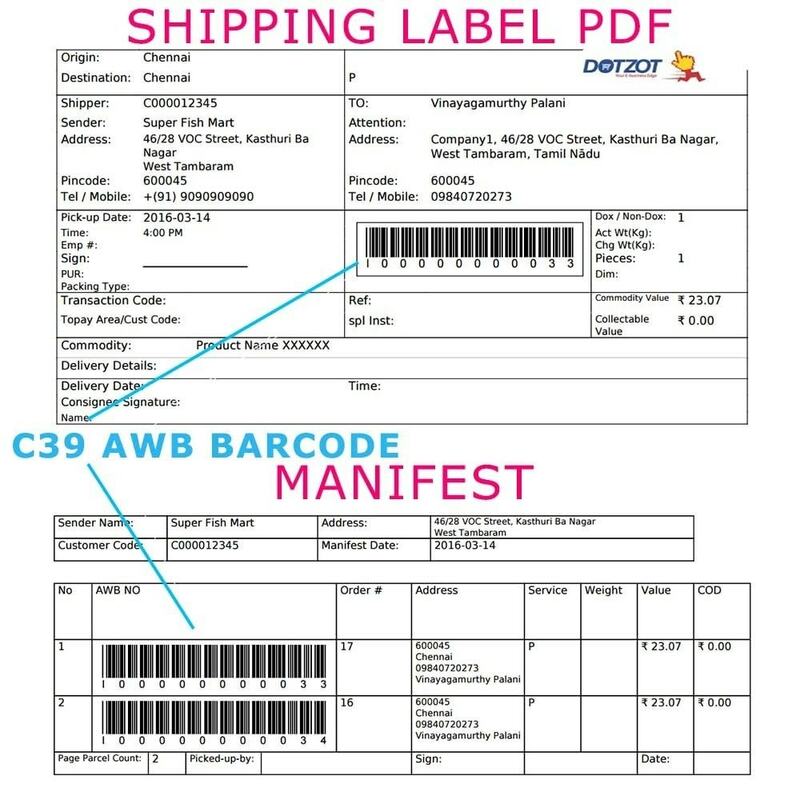 C39 AWB Number Barcode print. Bulk AWB upload. 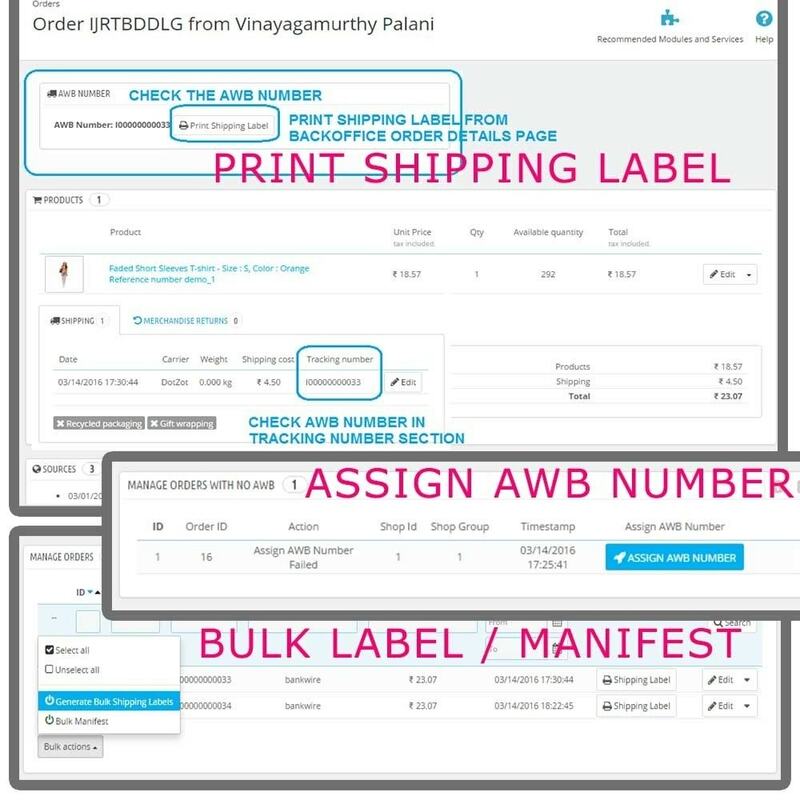 Bulk Shipping Label Print. 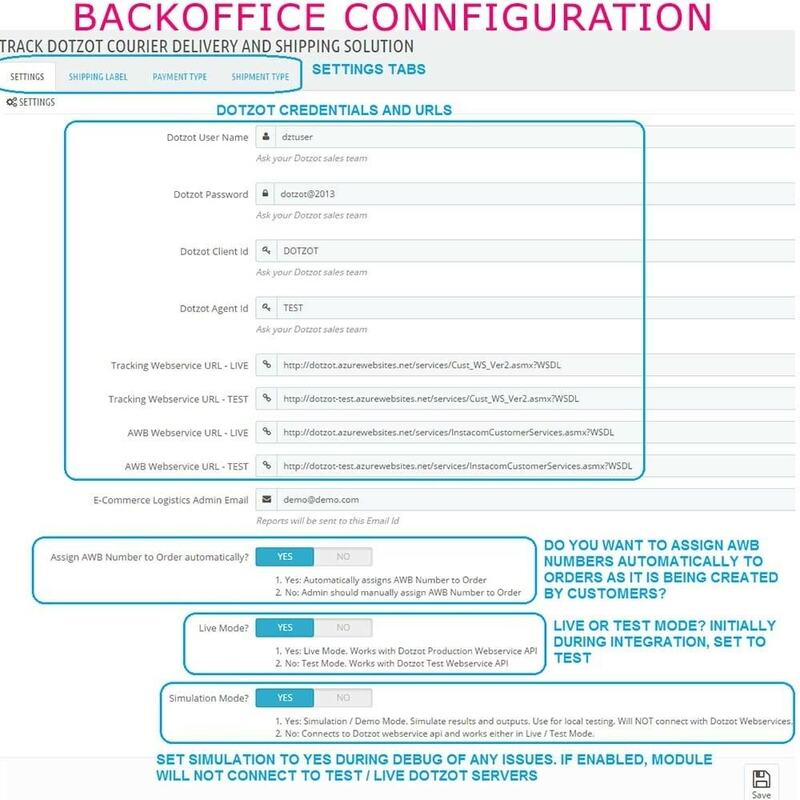 Create Shipping Manifest. 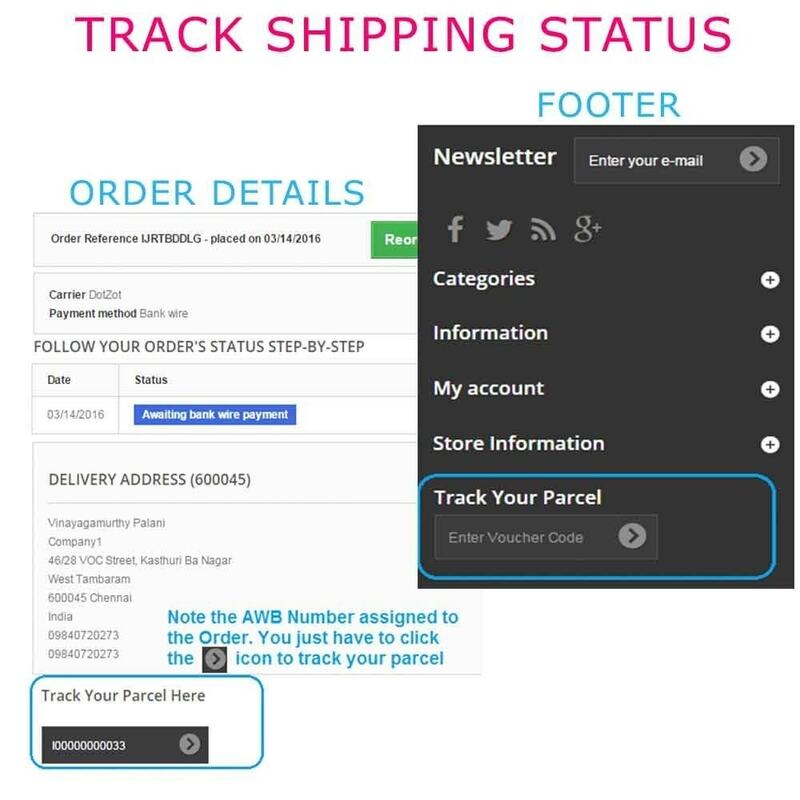 Assigns AWB number / Courier docket number to Order automatically.